Websites that look so good, customers can’t take their eyes off of them. Do you receive compliments from your customers about your website? Is your website designed cleanly and easily navigable by potential customers? 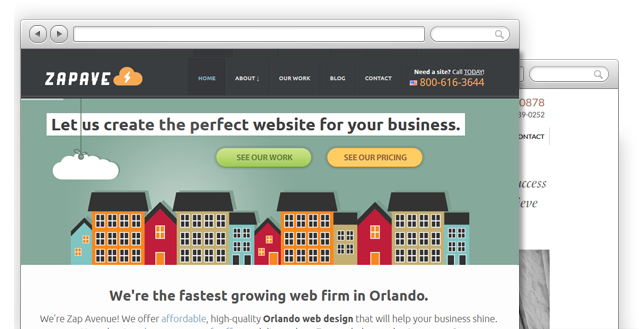 Making a great-looking website is one thing, but making a website that converts and delivers REAL RESULTS is another. We make websites for business owners who are looking to increase their revenue by having an incredible website. Are you one? Your website can help you convert ready-to-buy consumers within seconds. Seeing the complete picture with your website and understanding your market and demographics will help keep your online presence growing. We understand what it takes to be found on search engines and we know what it takes to turn new customers into regular customers. While most companies can get your business listed on Google, we make sure that when those customers come to your site, they convert. Our name isn’t the norm and our prices aren’t crazy expensive like our competitors. We meet deadlines and over-deliver. We do more because we know that building a strong relationship takes more than just delivering a website to a customer. It’s about delivering an experience we both can share. We’re ready to work for you; how about we start today?